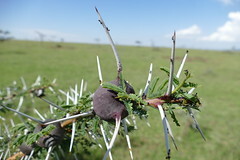 Whistling Thorn is a swollen-thorn vachellia native to East Africa. 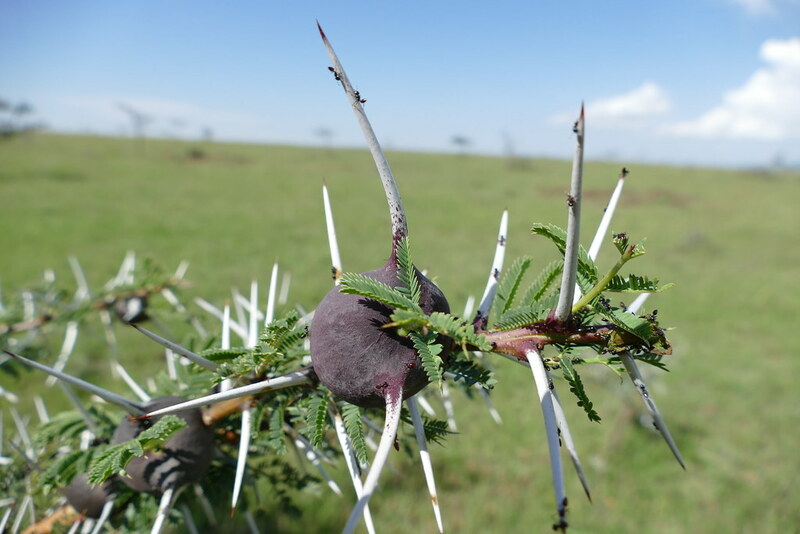 It produces a pair of straight thorns at each node, some of which have large bulbous bases. These swollen thorns are naturally hollow and occupied by any one of several symbiotic ant species.